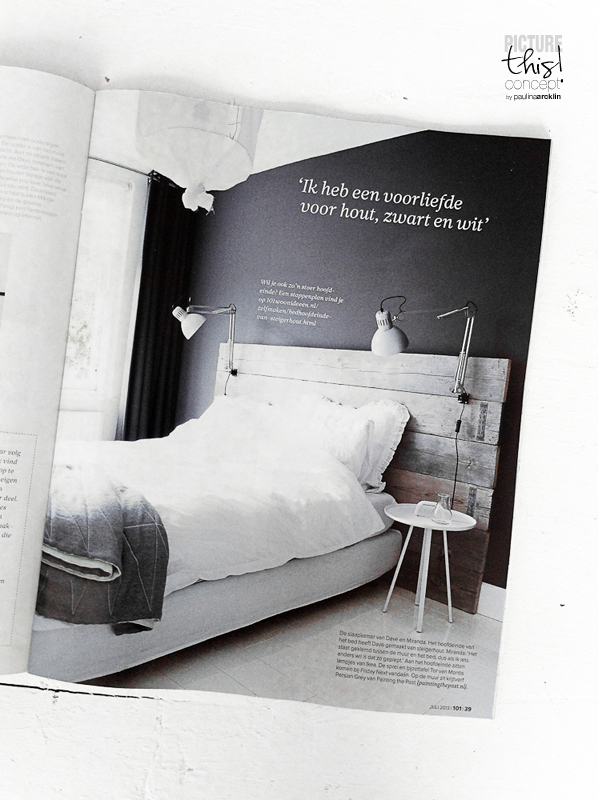 What I found from the newest issue of 101 Woonideeën magazine! Miranda's home! And full of many ideas. The bedroom is my favorite! And those photos are made my new friend Souraya Hassan from Binti-Home. So great! Compliments for Miranda and Souraya! Thank you so much Paulina! I remember your home in 101woonideeen, it was stunning! I was in love with all the bright white pictures and got so much inspiration from it. I saw some pages on your kitchen wall ;) So cool! So great photos and photo angles Souraya! And YES let's meet soon!